A study in Singapore is fast gaining interest amongst international students. Singapore is a sovereign city-state and island country in Southeast Asia. Interestingly, Singapore’s higher education system has developed into a leading force that assists in promoting its reputation as one of the world’s leading centers for financial growth and technological advancements. Students applying to any of the institutions of higher institutions in Singapore need not worry about language barrier. English is a language of instruction – Postgraduate courses in Singapore are taught in English which, as the mother tongue of many Singaporeans, is widely used. 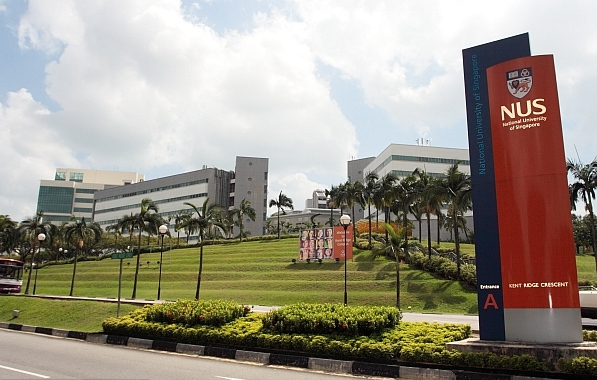 Six national universities in Singapore are ranked among the top 50 in the world: the Nanyang Technological University, the Singapore University of Technology and Design, the National University of Singapore, the Singapore Institute of Technology, the Singapore Management University and the SIM University. These universities offer undergraduate and postgraduate degree programs in Accountancy, Information Systems Management, Business Management, Economics, the Social Sciences, Law and Computer Science. Singapore offers five polytechnics for students who wish to earn a non-academic degree that allows them to enter the workforce immediately upon completing the program. A degree earned at a polytechnic is similar to an associate’s degree or vocational certificate and takes less than two years to complete. *Please note: These requirements differ from every institute. Some polytechnics may not have these requirements while universities might have them. Please check with the institute of your choice before applying. How safe is the country? This is one of the reasons international students consider a study trip to Singapore. Singapore is a safe place to study at. Singapore has a well-deserved reputation for being safe and relatively crime-free. Weather condition: Singapore’s weather is warm and humid, ranging from an average of 31°C during the day and 24°C at night. It rains throughout the year with heavier rain during the monsoon season, which lasts from November to January. These vary between study programmes and levels. Students applying for a study visa need to prove they are fluent in English by providing the results of a Test of English as a Foreign Language (TOEFL); a General Certificate of Secondary Education (GCSE); or an International English Language Testing System (IELTS). They must also have received an acceptance letter from a university or polytechnic as well as passport photos and documentation proving their eligibility to enter a university degree program (high school diploma, for example). Visa processing may take one to two months, depending on the validity of a student’s paperwork and amount of documentation.